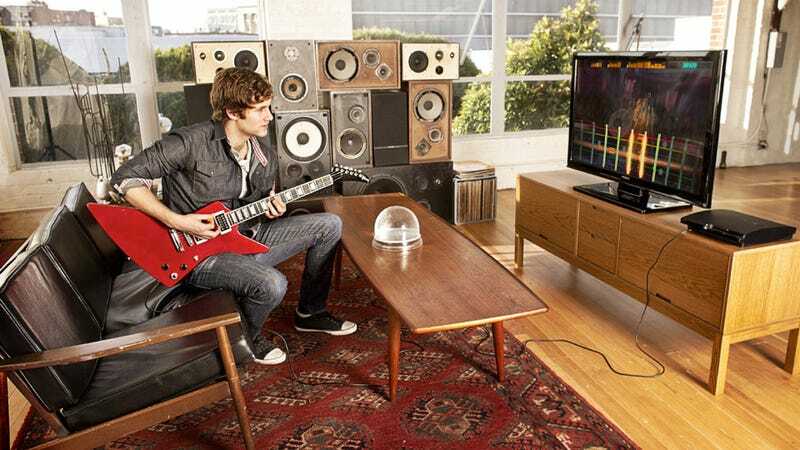 On Wednesday Ubisoft said Rocksmith, the rhythm game playable with a real guitar, would be delayed in Europe until 2012 because of "music licensing" and "other factors." Yeah, you could say that. Turns out there's a rock band in the UK that goes by the name, wait for it, "Rocksmith." Apparently Ubisoft forgot to check on that or clear it up ahead of time. The band leader told Eurogamer that he went to Ubisoft with a proposal to keep things out of the courts. "We could promote the game, you could promote the band - we'll even give you some songs to put on there," Kris Ford said. "And they just ignored me." So he did something they couldn't ignore—filed a formal opposition with the European Union agency that oversees trademarks. In the aftermath, Ford has accused Ubisoft of trying to bully him, threatening him with legal action for defamation because of comments he's made to the media. He says the matter is progressing "very slowly," which probably accounts for why Ubisoft's revised release date is no more specific than 2012.